According to Kentucky’s Constitution, property owners who are 65 or older are eligible to receive a homestead exemption. If you are eligible, the amount of the exemption is subtracted from your property’s assessed value enabling you to pay less property tax. Section 170 of the Kentucky Constitution, which deals with exemptions from taxation, was amended by vote of the people on November 2, 1971. The amendment became effective on January 1, 1972. According to Kentucky statutes, the exapemption amount is increased every two years to reflect the increase in the cost of living index used by the United States Department of Labor. For 2017-2018, the exemption amount is $37,600. Only one exemption is allowed per household. When an application is approved, it is valid for subsequent years as long as the original applicant owns and lives on the property. If the property is sold, the seller should contact the PVA office to advise of the address change. The exemption will be taken off the old property and placed on the new property. In other words, the exemption is tied to the owner, not to the property. Application Procedure – To apply for the exemption, you may come into the PVA Office to apply or simply mail the completed application along with a copy of your driver’s license or birth certificate to the Jessamine County PVA. Download the application for the Homestead Exemption. According to Kentucky’s Constitution, property owners who have been declared totally disabled for the previous twelve (12) months by any public or private retirement system may be eligible for the disability exemption. If you are eligible, the amount of the exemption is subtracted from your property’s assessed value enabling you to pay less property tax. For 2017-2018, the exemption amount is $37,600. Kentucky law requires that every person who receives the disability exemption must reapply each year with the Property Valuation Administrator. Application Procedure – To apply for the exemption, you may come into the PVA Office or simply mail the completed application along with a copy of your driver’s license or birth certificate and documentation verifying your disability (TPQY Form from Social Security, Notice of Award Letter from Social Security, etc) to the Jessamine County PVA. Download the application for the Disability Exemption. 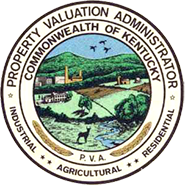 Applications Procedure – To apply for either the Religious Organizations or the Non-Profit Organizations seeking property tax exemption for real property, pursuant to Section 170 of the KY Constitution, you may come into the PVA Office or simply mail the completed application to the address below. Download the 62A023 application and questionnaire for religious and nonprofit organizations. The purpose of the agricultural value program is to stimulate the continuation of farming operations and encourage the preservation of farmland in Kentucky by providing property tax relief. The value of land used for farm production is assessed at a “use” value, which results in a lower taxable dollar value per acre than the fair cash value for the same land. This program was enacted through a constitutional referendum in 1969 to keep rising property assessments, particularly in developing areas, from forcing farmers out of business and accelerating the land conversion process. “Agricultural land” is defined as any tract of land of ten acres or more, exclusive of land used in conjunction with the farmhouse, that is used for the production of livestock, livestock products, poultry, poultry products and/or the growing of tobacco or other crops, including timber. “Horticultural land” is defined as any tract of land at least five acres in area commercially used for the cultivation of a garden, orchard, or the raising of fruits, vegetables, flowers, or ornamental plants. On or before March 1st of any year, the owner or owners of land devoted exclusively to agricultural use on which the PVA Office has placed a value in excess of the agricultural or horticultural value, may file an application for valuation at the agricultural or horticultural value.